Head wrap is now taking over, now one of the topping trend, ain’t no lady who doesn’t like rocking head wrap. Gone are the days when it was only meant for church service, wedding and occasions it is now a daily wear. Ankara materials look even more lovely in the sense that it doesn’t select any outfit , it add more beauty to whatsoever you are wearing be it causal wear or any type of outfit at all. Tying a piece of cloth around the head is not specific to any one cultural group. Ladies have worn and is still wearing some type of fabric head covering in many societies. What does appear to be culturally specific, however, is the way the fabric is worn; in other words “the style” how the fabric is being worn is the ultimate cultural marker. Here, “style” does not mean a particular fashion rather, I use the term to mean a studied way of presenting the idea of how one ought to appear before others. In order to explore this concept, careful note must be taken of the significant difference between the style of cloth head coverings as worn by white women and the head wrap as styled by black women. To wrap her head, a European or white American woman simply folds a square piece of fabric into a triangular shape and covers her hair by tying the fabric under her chin; or, less often, by tying it at the nape of the neck. In either case, the untied points of fabric are left to fall down over the back of the head. The Euro American style results in a head covering which flattens against the head and encloses the face, and thus visually seems to pull the head down. The terms “scarf” or “kerchief” usually denote this type of head covering. Scarves are not particularly popular items of white American women’s fashion today, but when they are worn, they consistently are arranged in the manner just described. 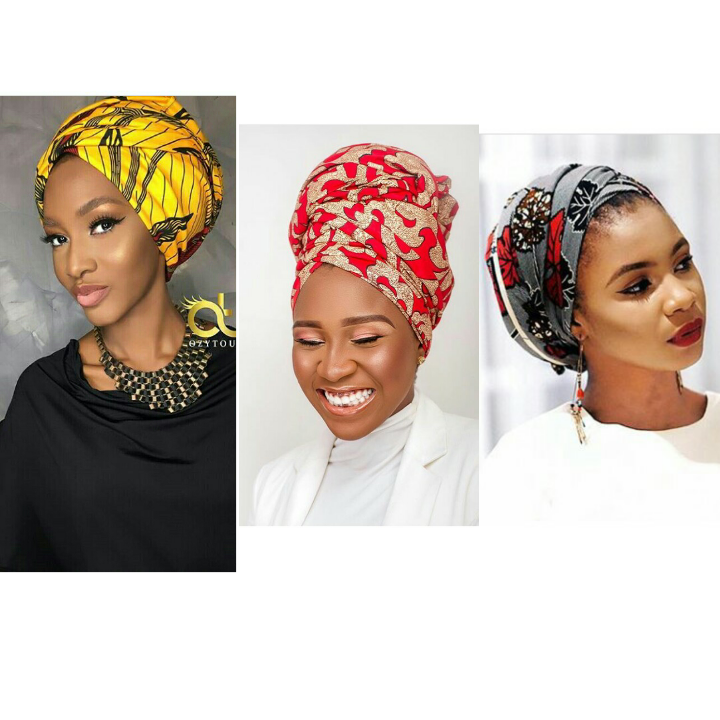 Although the African American woman sometimes ties the fabric at the nape of the neck, her form of styling always leaves her forehead and neck exposed; and, by leaving her face open, the head wrap visually enhances the facial features. The African American head wrap thus works as a regal coronet, drawing the onlooker’s gaze up, rather than down. In effect, African and African American women wear the head wrap as queens do wear their crown. In this way the head wrap corresponds to African and African American women’s manner of hair styling, wherein the hair is pulled so as to expose the forehead and is often drawn to a heightened mass on top of the head. In striking comparison, the scarf worn by white women emulates the way in which the hair of people of European ancestry naturally grows: falling downward and often arranged to cover the forehead. Previous article HAPPY INDEPENDENCE DAY TO NIGERIA. Next article WEARING A BOUTONNIÈRE.